On Thursday, No. 3 Oregon softball started the Puerto Vallarta Challenge off with a 1-0 win over Houston, improving the Ducks’ record to 7-0 on the season. Junior pitcher Megan Kleist earned her third win (3-0) in a one-hit, 10 strikeout, complete game as she kept Oregon’s perfect season intact. Her only blemish on her line was the one hit as Kleist did not walk a single player in the 23 batters she faced. Alexis Mack kept her now 13-game hitting streak intact with a double, the only extra-base hit by any Oregon player, as she was one of five Ducks to earn a hit. Oregon left six runners on base. The game’s lone run came on a Shannon Rhodes run from a Gwen Svekis RBI single. The Ducks play Rutgers and Texas in a double-header in the Puerto Vallarta Challenge before they face No. 15 Ole Miss to finish off the tournament and head to California for the Mary Nutter Collegiate Classic. 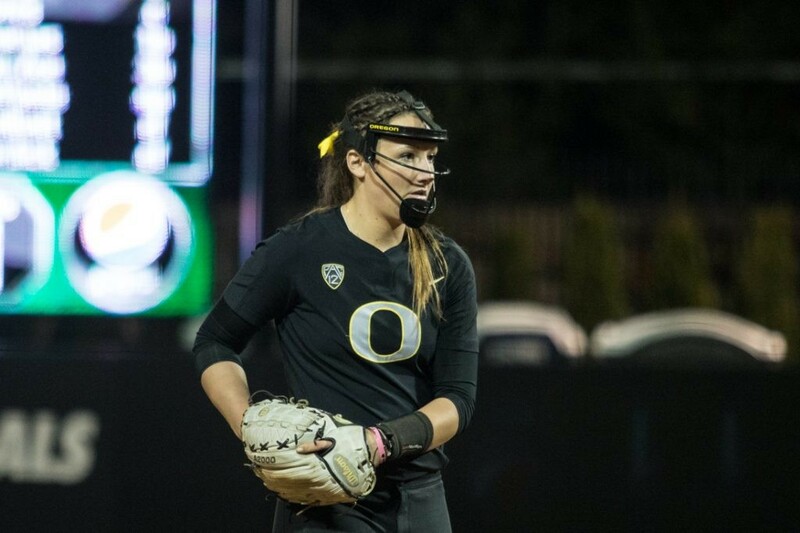 The post Oregon softball beats Houston 1-0 in Puerto Vallarta opener appeared first on Emerald Media.